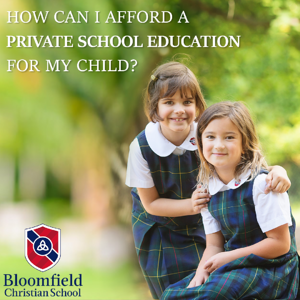 How Can I Afford a Private School Education For My Child? Can our family afford a private school tuition? Many parents rule out the idea of sending their children to a private school because they think it's too expensive. We'll help you look under the hood at what motivates a decision for private school education and give you tips and suggestions for working tuition into your family budget. Watch our on-demand webcast to learn several strategies to help families manage tuition payments and make a private school education a reality for their children. Complete the form to watch webinar.